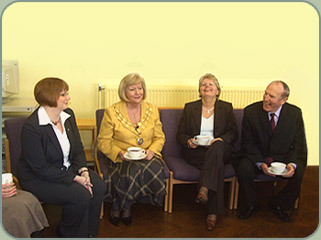 The Croft Primary School is a popular primary school based in Armitage, Staffordshire (UK). Original custom design & build: Embracing The Croft's existing colour scheme, our goal was to create a clean but friendly site that would be engaging to both children and adults. Stock imagery: Where appropriate professional stock imagery was carefully selected then skilfully manipulated to excellent effect. Logo revamp: The schools existing emblem was carefully and sensitively recreated to tie in with the intended look & feel of the Website. Photography: Various key photographs were expertly taken and enhanced for inclusion within the site. This included on site portraits and also close up photography of the school's historical records. Six custom created Flash games: As a splash of fun for the site we created SIX fast loading games using Macromedia Flash. 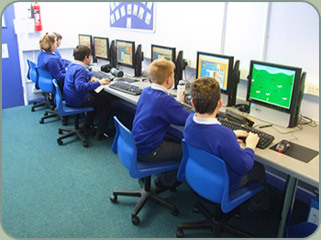 These games serve to be fun, whilst also being educational, effectively helping to develop the children's hand to eye co-ordination / computer / literacy and also maths skills. Pupil involvement: With the help of the clever children at The Croft, one particular game that we created was a classic 'word search' with 23 puzzle variations. To achieve this, we first gave a selected class a set of Akumenta word search design guides / grids on paper. They then filled out the grids with their own imaginative choice of subjects and words. Once the children had created their 23 different word puzzles on paper we then cleverly assimilated them (along with each authors name) into our interactive online game, so as to form part of The Croft Website. Format conversion: Various files were appropriately converted into formats more suited for Web use and good end user compatibility. We continue to routinely provide this ongoing service as part of our standard Web hosting remit for The Croft (see below). 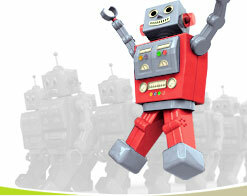 This ensures that all visitors to the Croft Website receive the best experience. Web hosting and housekeeping services - an ongoing commitment: Through our own fast and reliable hosting services we successfully deliver The Croft's Website around the globe. 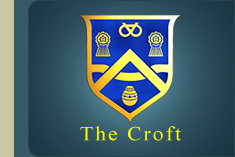 As part of our annual hosting remit we also regularly handle all Website content updates for The Croft. 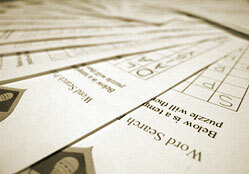 This includes keeping their online news letters, gallery, calendar and various yeargroup support material up to date. "The service Akumenta provided was excellent; they liaised with us throughout the process. They provided advice on layout and content and we were delighted with the finished product. We have had a very favourable response from children, staff & parents to the Website and I would have no hesitation in recommending Akumenta to others." The Croft Website was officially launched with a visit from Janet Eagland, chair of Lichfield District Council, who described the site as being both highly informative and educational. Accordingly, it is our hope that it will serve as a fitting example of what can be achieved by forward thinking primary schools looking to lead the way with a professional custom crafted Web resource within an obtainable budget. Calling all Schools! ...don't be held back by your budget: We have a good understanding of the budget constraints that most schools experience, especially primary schools. Accordingly, we see every school Web project as a superb opportunity to demonstrate the excellence that can genuinely be achieved for a reasonably low fee. Indeed we are well aware that we charge far less for our custom crafted Web services than many of our competitors demand for simply passing on generic template based designs. (We are also aware that many companies see the public sector / schools as an area where they can often charge MORE than they usually would a private customer, a practice that Akumenta wholly denounces). Simply put, excellence and individuality in the realm of Web development for schools need no longer come at an impractical cost. OFSTED: Also worthy of note is that the appropriate use of technology and the use of such technologies to keep parents informed etc, can be of significant benefit to OFSTED appraisals. If YOU are a school looking for friendly advice from an experienced and affordable Web developer, then we would love to hear from you. Even if you already have a site with someone else, we can most likely save your school money and offer you a better all-round service.